Whether you are a first time landlord or already own a sizeable property portfolio, we can help to make your plans a success. By listening to where you are now and taking the time to understand your future plans we can help you become a successful property investor. Whilst making sure you have the right mortgage is key, there are other factors to take into account too. We are happy to share our knowledge and experience to give you mortgage advice to help you make the right choices to bring your plans to life. Personal Touch Mortgages can provide tailored mortgage advice for your individual requirements. Speak to one of our mortgage advisors today. The key to having the best chance of success is to do your homework! Exclusive discount on conveyancing costs negotiated with local firms Bridge McFarland & Beetenson & Gibbon on your behalf! 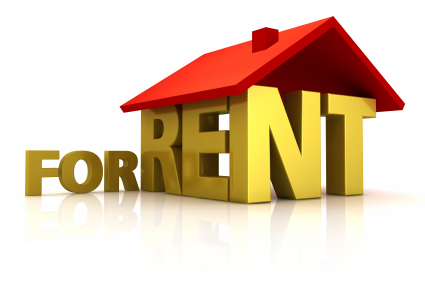 One of the most important things a tenant will look for when deciding which property to rent is where it is. As an investor, one of your keys to success is buying in the right location. Proximity to public transport links, local amenities, schools, hospitals, restaurants and bars will all have a bearing on the type of tenant you are likely to attract. It’s always a good idea to consult a local letting agent in Grimsby or Cleethorpes to find out about local areas and what kinds of property are currently in demand from tenants. New regulation was introduced for landlords in October 2008. If, after 1st October 2008 you let a property for the first time or get a new tenant in a property you already own you will need to have an Energy Performance Certificate. This certificate will provide an energy rating for your property from A to G with A being the most energy efficient and G being the least. This regulation is one of the measures being introduced to help tackle climate change by improving the energy efficiency of buildings to reduce carbon emissions. Energy Performance Certificates will be produced by accredited energy assessors who in addition to rating the property will also provide a report detailing ways its energy efficiency could be improved. The location of your property, its type, size and condition will impact on the potential rent you can achieve with every location having its own expectations on the scale of rental income. Local letting agents in Grimsby and Cleethorpes should be able to provide you with a clear idea of what level the rent should be set at in order to attract a suitable tenant and minimise potential voids. It is likely that setting the rent on your property at more than the normal scope for its location will simply lead to greater void periods. 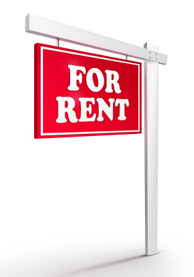 It is better to achieve £25 or £50 per month less on your rent than to have the property empty for several months. A letting agent could be appointed to manage your rental property, typically dealing with anything from locating tenants, vetting them, setting up the tenancy agreement, collecting any bond monies to collecting monthly rents and dealing with any maintenance issues at the property. Agents tend to charge a monthly fee for their services of between 7% and 15% of the rental income depending on what you want them to do. The level of commission charged will vary from area to area. Having said that, some landlords choose not to employ a letting agent and manage the properties themselves. As a landlord you will no doubt want to make sure your property is occupied as much of the time as possible. It is prudent to budget for the possibility that you may experience voids as it may fall empty from time to time. Many investors forget to factor this into their sums but it is prudent to budget for at least two months a year with no rent. Whilst there are no guarantees, taking care when purchasing a property can help reduce voids. The yield on your investment property is the annual return you receive as a percentage of the property value. Ten years ago some properties offered yields around 10% but the figure today is generally much lower largely due to the increased property values seen over recent years. A true yield will take into account full rental income but deduct items such as known void periods, overheads such as insurance and property maintenance along with any property management fees. Whilst the yield is likely to influence your decision of whether to buy a particular property, it shouldn’t to be the only factor. There may be other, longer term issues to be taken into account such as potential capital appreciation or other local issues. It is worth noting that the yield will have a bearing on the amount of money you are able to raise on a mortgage to buy the property. It makes sense that an attractive and well maintained property is going to be much more appealing to potential tenants than one which is a little tired around the edges. Keeping your property well presented will not only help to attract new tenants quickly, but also allow you to maximise potential rent. Any money you spend on your property in readiness to let plus any ongoing repairs done should be taken into account when you are calculating the potential yield of the property as an investment. You will be classed as having made a gain if you sell your investment property for more than you paid for it and it’s this gain which is taxable, not the amount you receive from the sale. Remember, if an investment property has more than one legal owner, the capital gains tax allowances of each owner could be used to mitigate any potential tax liability. You must advise the Inland Revenue if you own an investment property as rental income is subject to income tax. Each legal property owner is required to complete a Self Assessment Tax Return. A detailed list of allowable expenses can be found on the Inland Revenue website. A copy of your Tax Return and supporting evidence should be kept for at least six years. The amount you can borrow for an investment property purchase will vary depending on a number of factors. As a general rule of thumb, whilst some lenders will consider advancing up to 75% of the purchase price of a property, recent changes in the market place have meant there are more choices if you can provide a larger deposit. When deciding how much they will advance, lenders will not only look at the purchase price of the property but will also look at the amount of rental income the property will generate. Looking at the rental income and allowing an amount for the overheads such as insurance, maintenance and potential void periods, lenders will want to make sure there is sufficient income to cover interest on the mortgage. Lenders usually calculate this by insisting monthly rental income be around 125% of the monthly interest cost on the mortgage, although this does vary between suppliers. A HMO is a House in Multiple Occupation. Changes in The Housing Act 2004 state that if you let a property which meets one or more of the following criteria, it is classed as an HMO. If you are considering a HMO property, Government legislation states you must obtain a Licence from your local authority for EACH property. The licence was introduced to ensure both the property and the person managing it are suitable. Protecting your investment. Do you ever worry that your tenant may struggle to pay their rent? Despite being very careful when selecting your tenant, unexpected problems can still happen. Landlord’s Rent Guarantee will help to ease your financial burden whilst the problems are resolved. This insurance will cover the cost of legal fees should you need to evict your tenant whilst also making a payment to you to cover lost rent for a predetermined number of months. Since 6th April 2007 all deposits taken by landlords and letting agents for Assured Shorthold Tenancies in England and Wales, for rent up to £25,000 per annum, must be safeguarded by a Government approved scheme. As a landlord you or your letting agent must protect every deposit and although you can choose which tenancy deposit protection scheme to use, you must inform your tenant which one you have chosen within 14 days of receiving their deposit. Some of the products/services shown above are not or may not be regulated by the Financial Conduct Authority. The Financial Conduct Authority does not regulate most Buy To Let Mortgages.